Day 14 I headed to Harajuku. 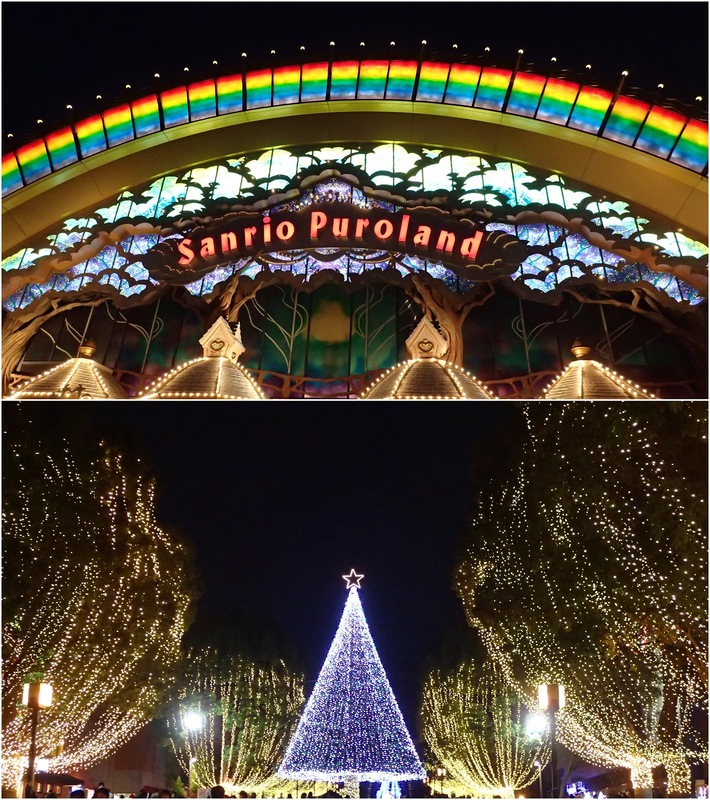 I started at Omotesando where I had lunch at a coffee shop next to Kiddy Land - which I forgot to take a photo of. 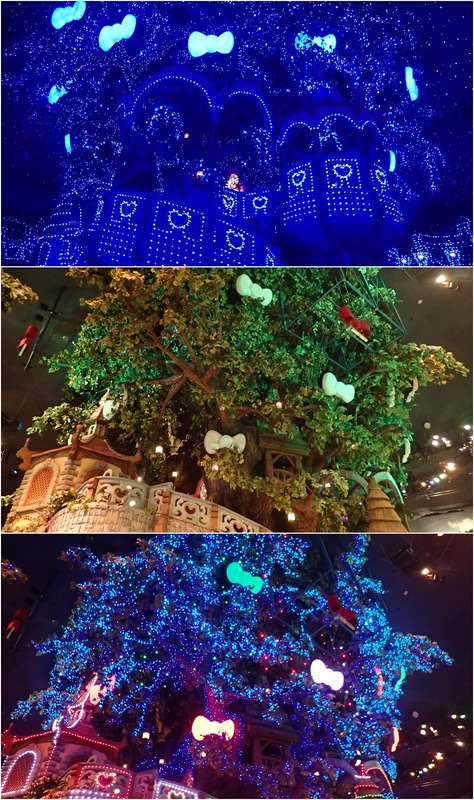 Kiddy Land is really cool although I only bought one thing as by then I'd been to numerous Rilakkuma, Hello Kitty, Snoopy, and other Character stores. 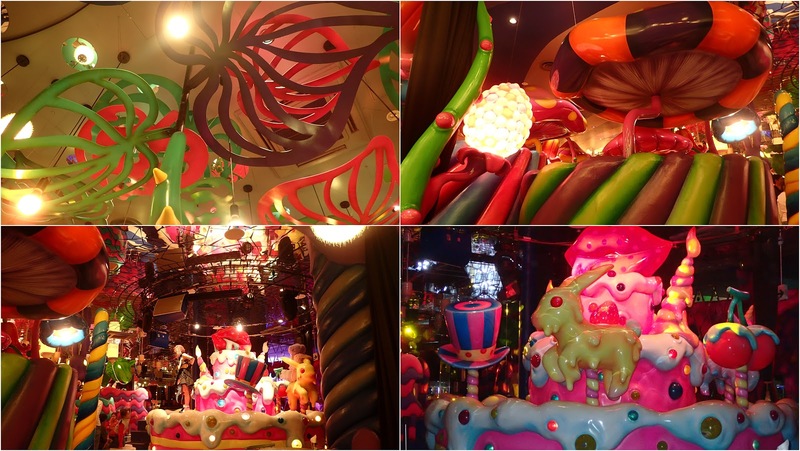 After Kiddy Land I made my way to the back streets of Harajuku and explored. 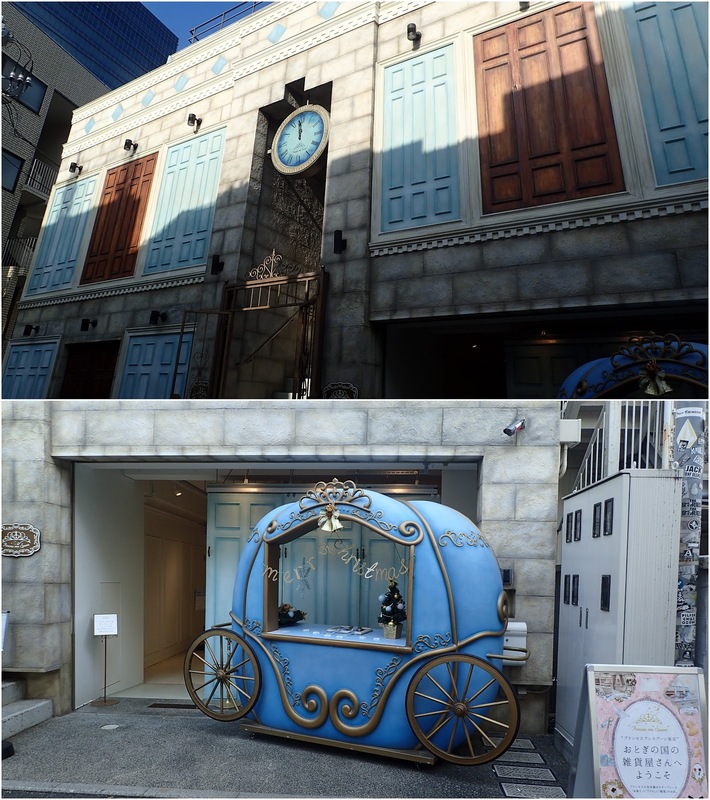 I visited a princess themed store, the Design Festa Gallery, and stumbled upon the Moshi Moshi Box - which I also forgot to take a photo of. 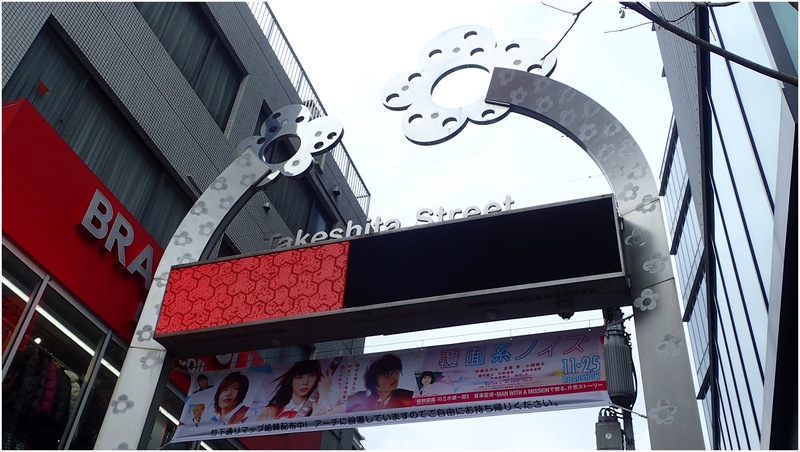 Then I came at last to Takeshita-dori where I did a bit of shopping before retreating to the Pompompurin Cafe for a sit down and a snack. 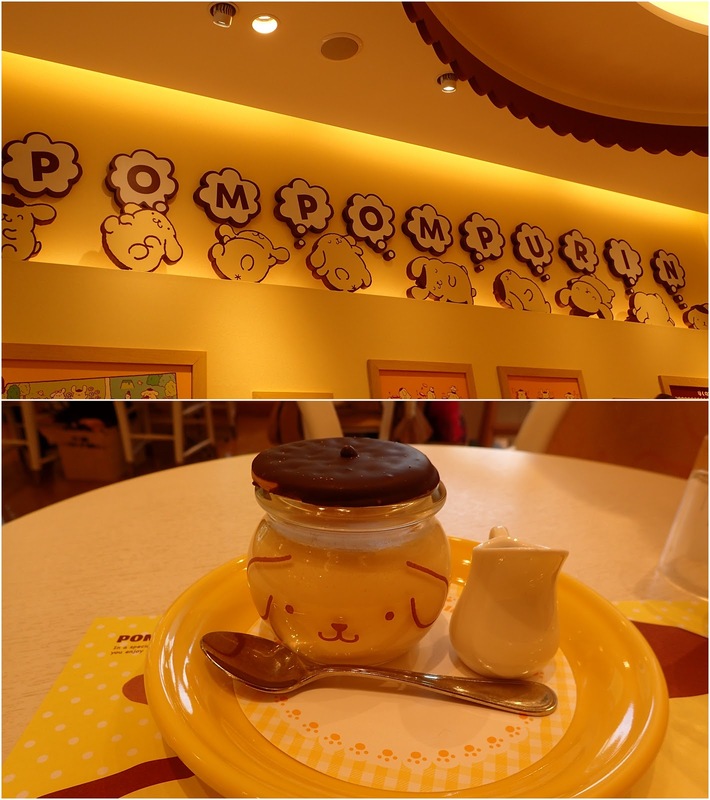 This time I got a purin and it was delicious. 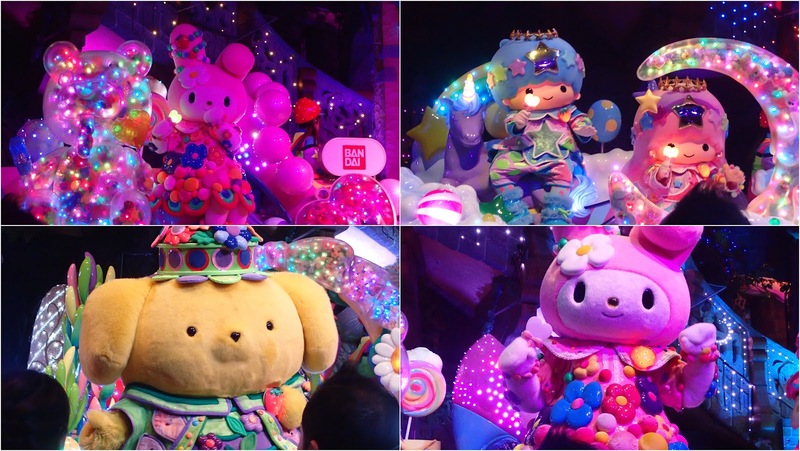 I then went down Brahms lane as a shortcut to get back to where the Kawaii Monster Cafe is. While waiting to enter the Kawaii Monster Cafe started chatting to another solo traveller - Steve from LA. 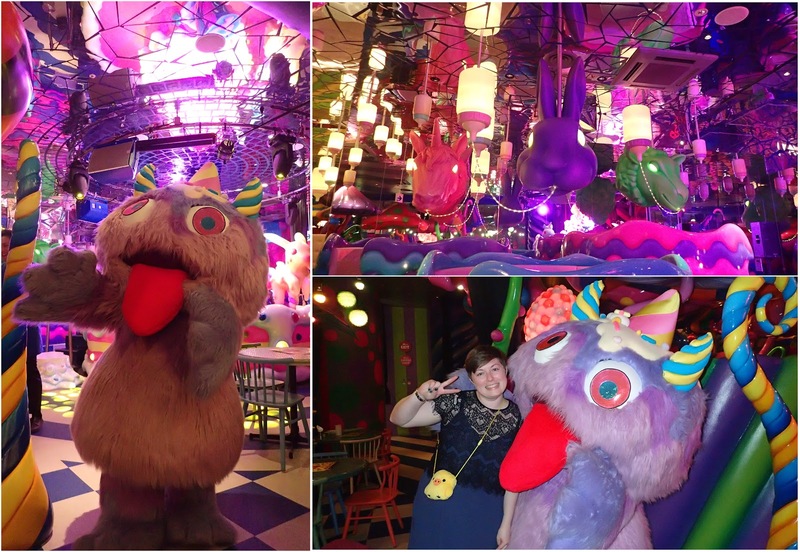 We ended up sitting together to experience the craziness which is the Kawaii Monster Cafe. 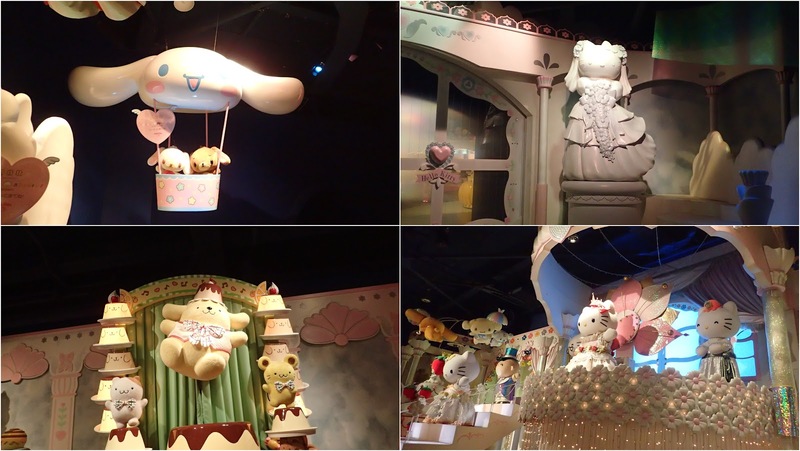 There are several areas in which to sit and we got a nice view of the cake carousel which is in the center. I love the drippy rabbit. 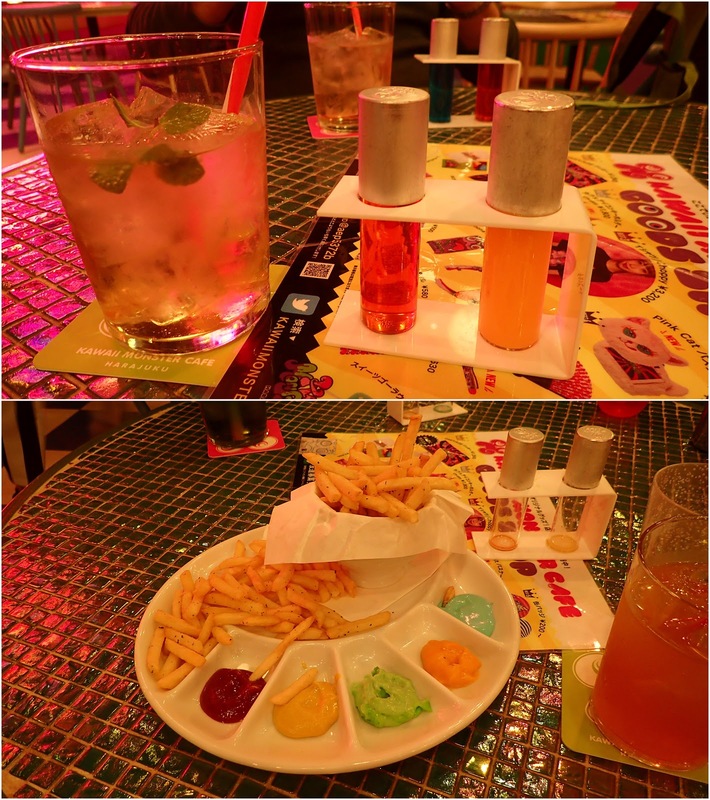 I wasn't too hungry so I just got some fries and an obligatory drink (you have to order some food and a drink). The chips were good and the sauces were all different flavours. Then there was a mini dance show thing and the mascot of the cafe showed up - he is so cute - and I was able to get my picture taken with him. 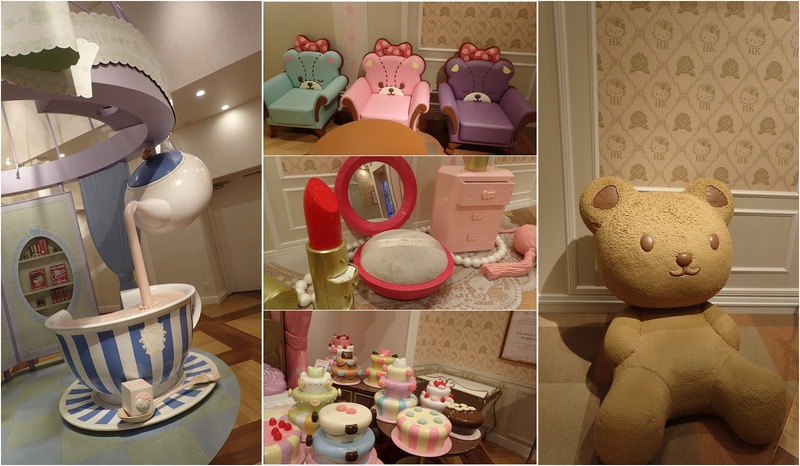 Later I walked to Shibuya and hunted in both Tokyu Hands and Loft for stuff to make fake desserts with but I failed. I then had some Coco Curry before heading back. 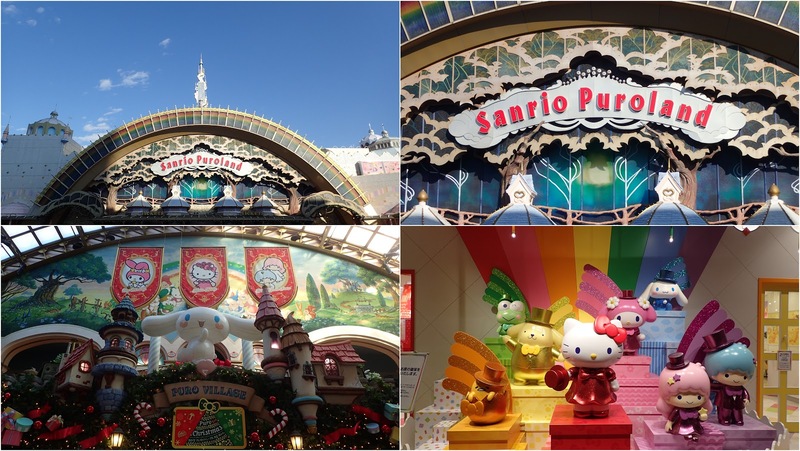 Day 15 saw me on another long trip out to the suburbs - this time to visit Sanrio Puroland! 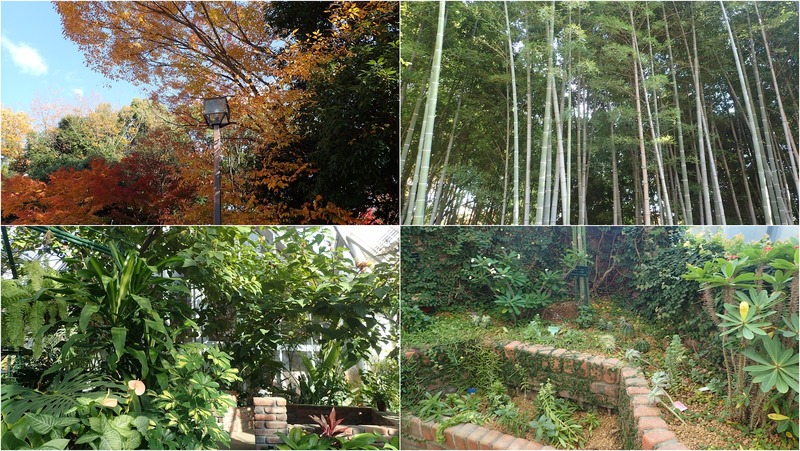 I planned to enter after 2pm as then the entrance price drops so in the meantime I did some shopping at a Daiso and found another park to wander about in and have another convenient store lunch. 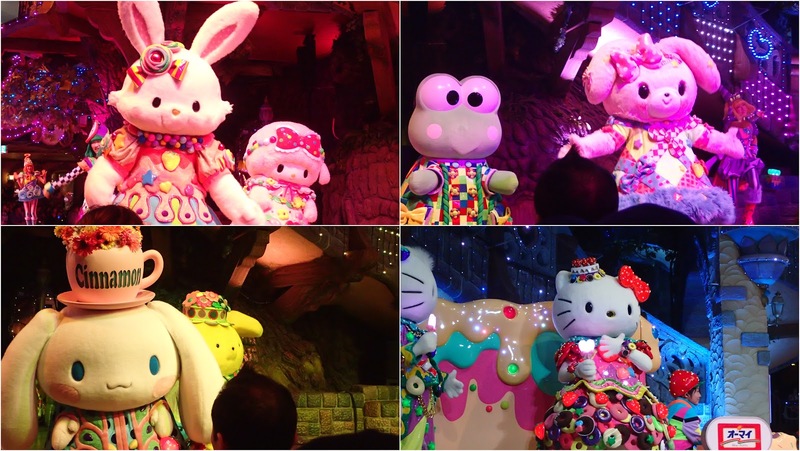 Then at last it was time to enter the realm of Hello Kitty. Firstly I looked in some of the shops but I was now low on funds and really there wasn't much there that you couldn't get elsewhere. 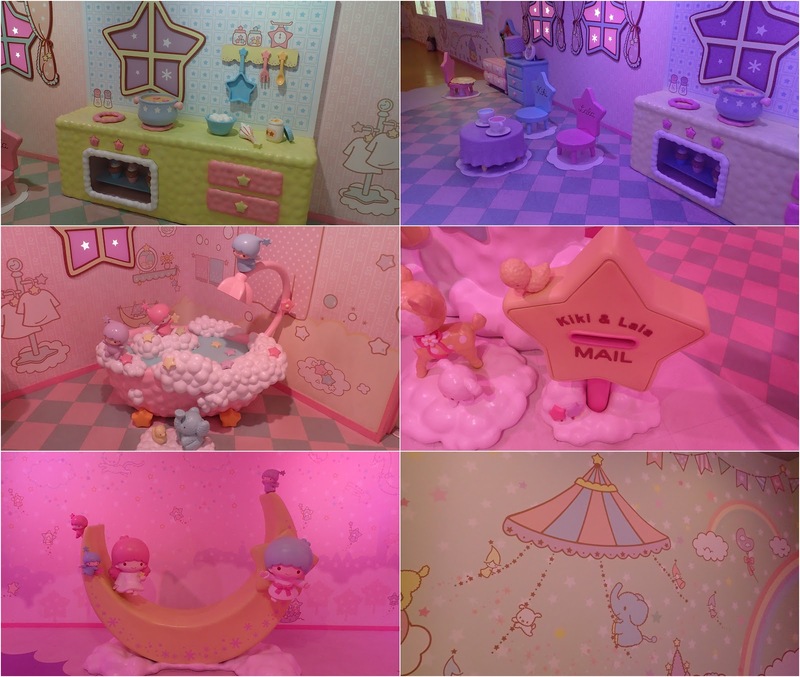 First of all I waited in the shortest line which was for the tour of the Little Twin Stars home. 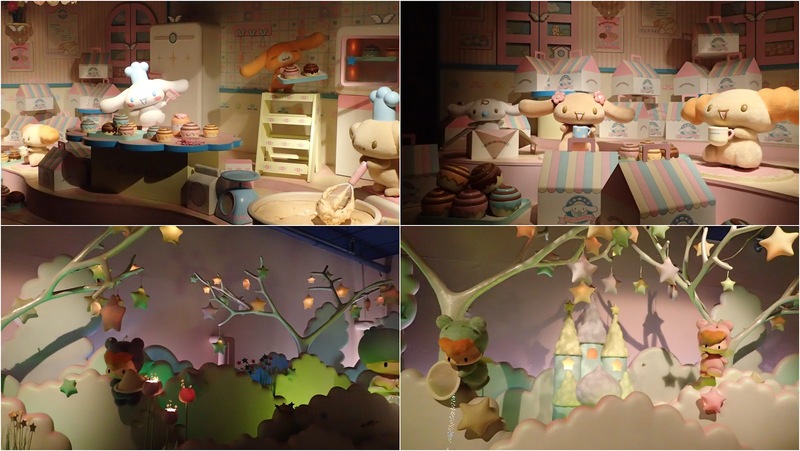 Everything was pastel and cute and the lights kept changing different pastel shades as well. Next I went on the My Mellody Drive which was short and seemed mostly to be an opportunity to have your photo taken. 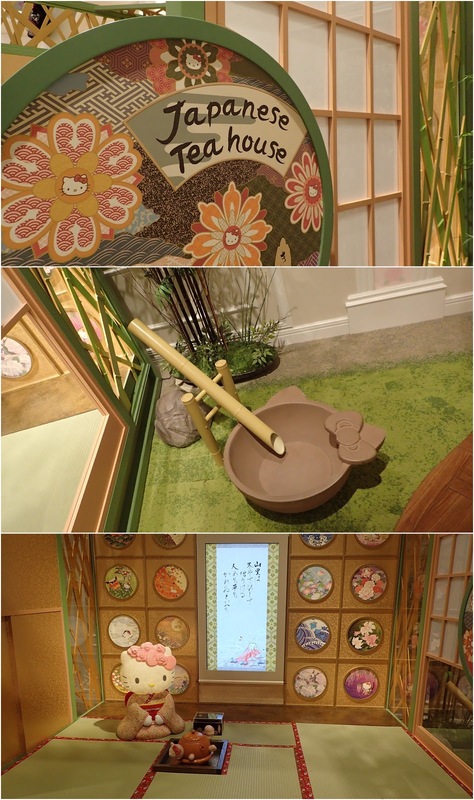 I then went to see Hello Kitty's house but the line was a 20min wait so I headed to the Gudetama area. 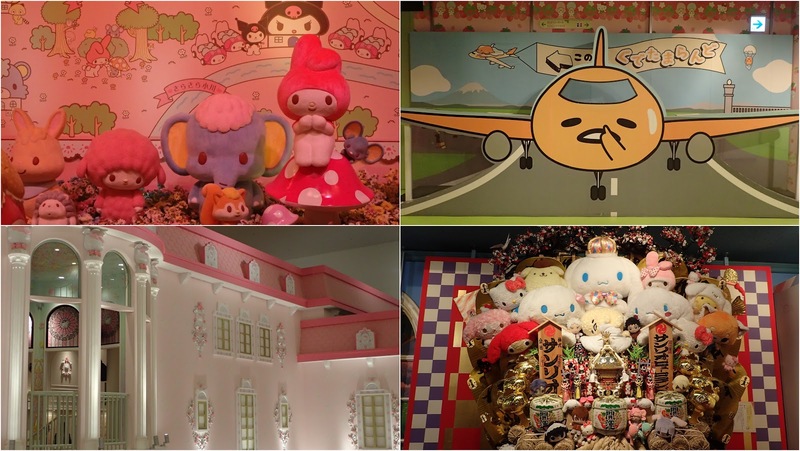 Oh and that rack thing with all the characters on it is a decoration for an upcoming festival. 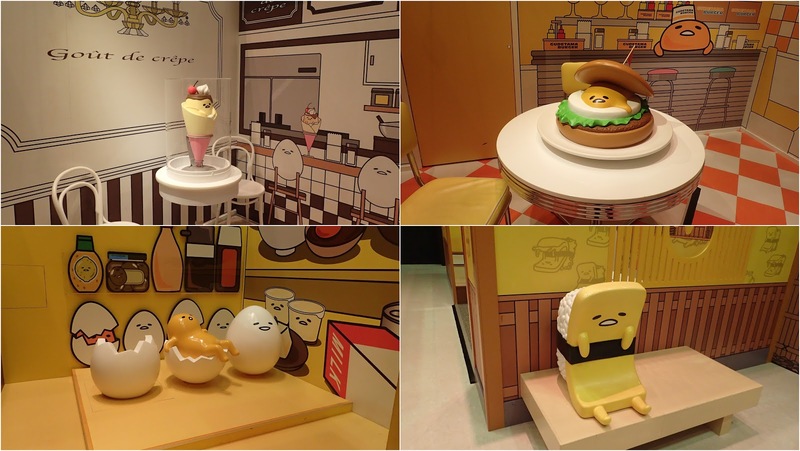 Once again the Gudetama area was basically just a place for you to pose for them to take your photo. 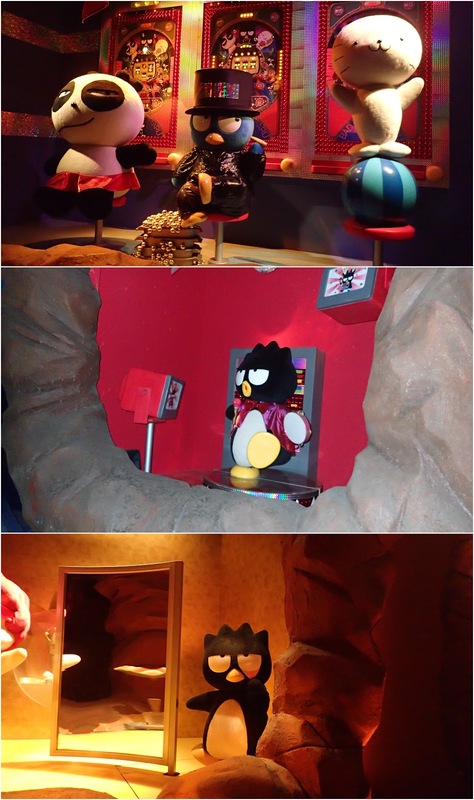 There were some games that you could play but I mainly just walked around seeing what Gudetama was up to next. I was just about to write the whole thing off as a loss when a show was beginning in the main hall - so I sat on the floor with the others and waited. 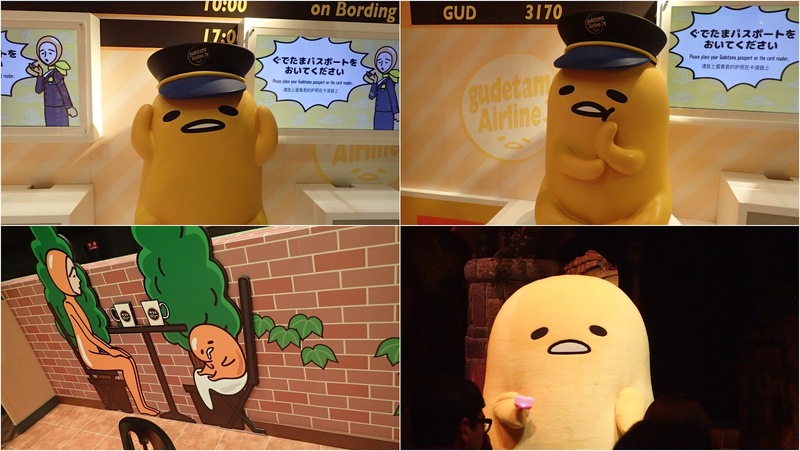 Gudetama showed up first trying to encourage people to buy a light up wand thing for the show. They dimmed the lights and all the twinkly ones came on and then the show began - after a few video introductions and safety instructions played. What followed I can only describe as adorable madness. 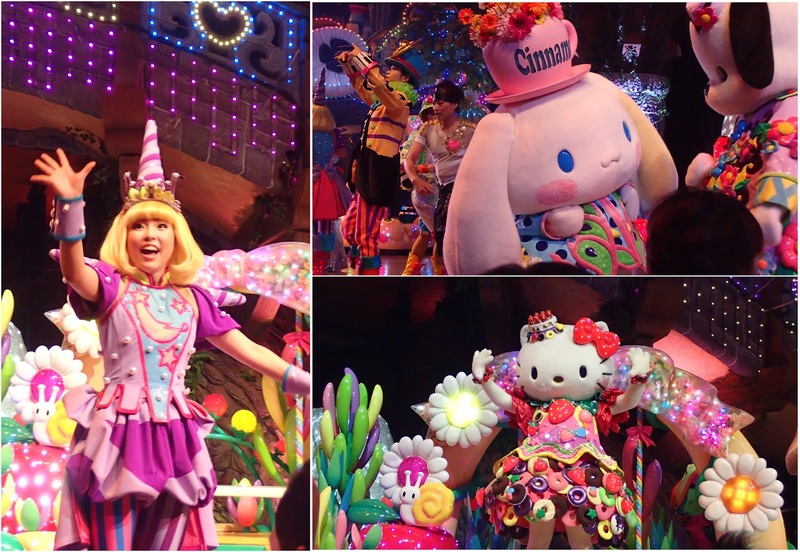 The costumes were amazing, there were dancers, acrobats, parade floats, Hello Kitty entering from the sky, and there was some sort of story about being Kawaii and then evil creatures showing up but the power of Kawaii wins and turns them Kawaii too. Utterly crazy but I loved every second. When I edit all my little videos together you will see a section from this show. Feeling elated afterwards I tried another ride and thankfully the line was moving quickly. 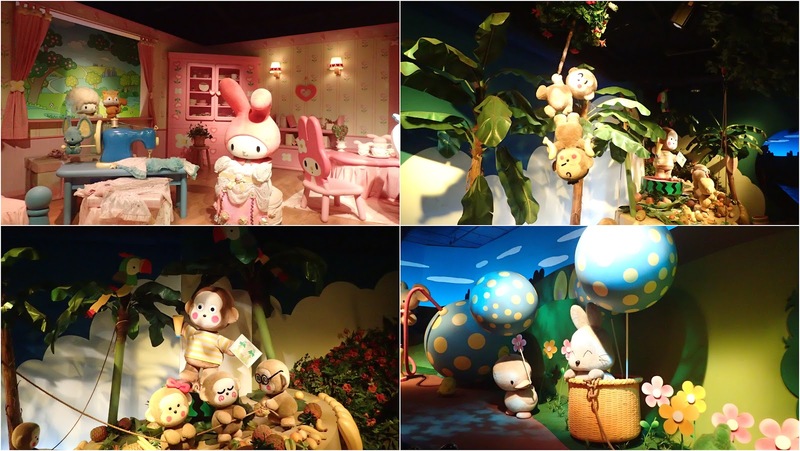 This time it was the Boat Ride which is by far the longest and is something to do about everyone being invited and getting ready for a fancy party at Hello Kitty's home. 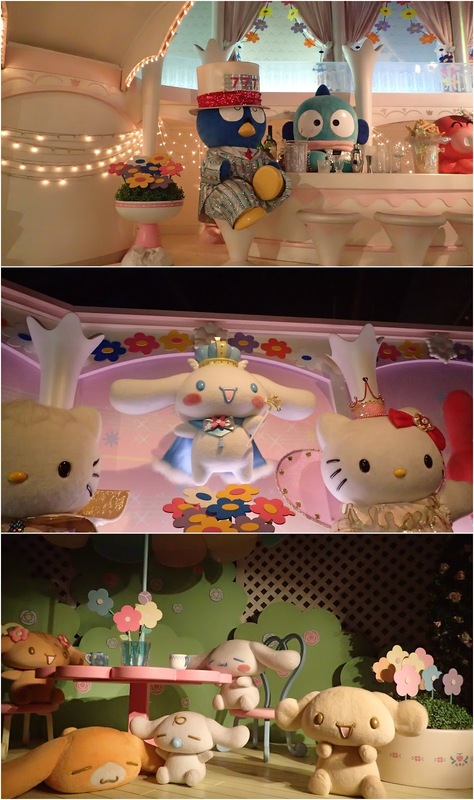 As there was still a little time before closing I tried Hello Kitty's house again. 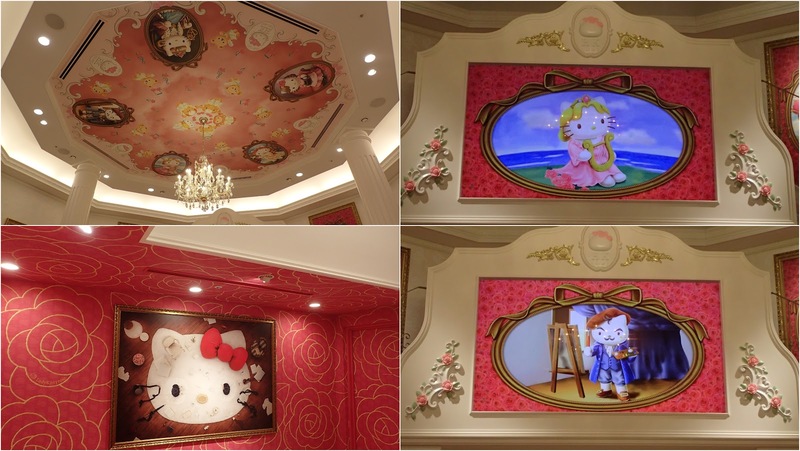 Her house is very cute but you cannot leave it without waiting in line to have your photo taken with Hello Kitty herself. You have to pay extra mind if you want to have the photo. 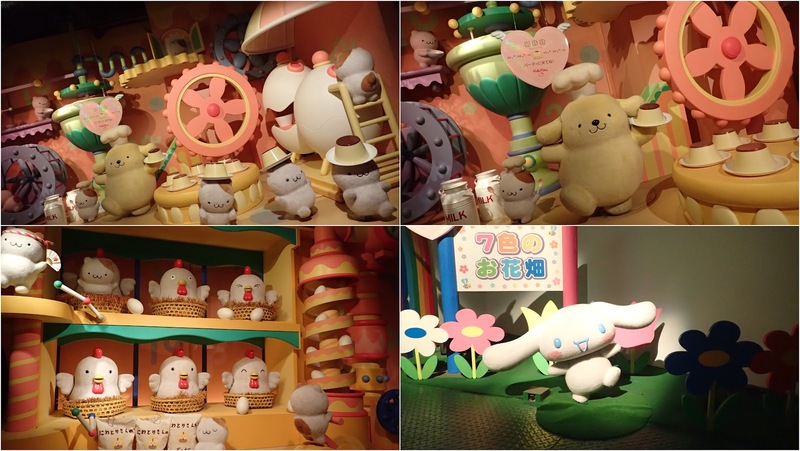 I quickly visited the top floor but everything up there was already closed so no cinnamon bun from Cinnamoroll's cafe for me. Outside everything was light up and pretty. That evening I packed my bags somewhat haphazardly in order to fit everything in. ﻿Even so my whale shark had to be carried outside of my bags but thankfully no one took exception to this. 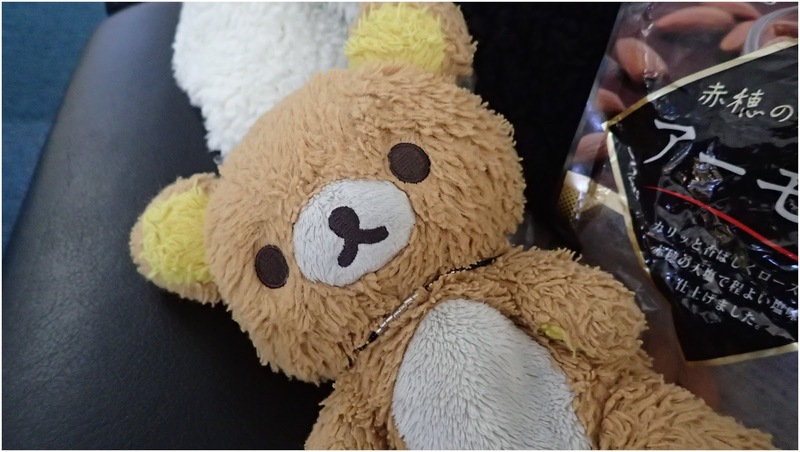 Although I had the whole day to spend in Tokyo before my flight I was just to tired to want to do anything. I checked out of my hotel at around 10am and then took a long walk with all my luggage down by the banks of the Sumida river. Eventually I made it to Asakusa where I took a train to Haneda Airport. Once there I basically tried to keep myself awake and eat what little food I had left - including some instant ramen. I found other Kiwi's to chat to at the airport as we waited for our flight home and we swapped our stories which was nice. Although I had a ton of fun I was so happy to finally get home to some decent painkillers and wholegrain bread.